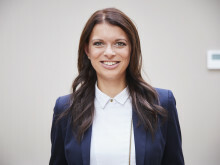 Wiehl, 26 March 2019 --- There are not only employees with German passports behind the global success of German medium-sized companies. Over 1,600 employees from 26 countries work at BPW – a hidden champion of the commercial vehicle industry; the BPW Group is represented by around 7,200 employees in over 50 countries. 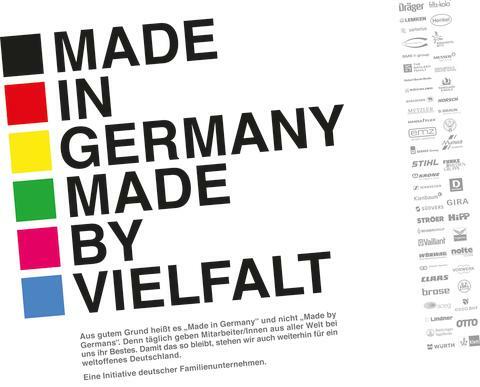 On this basis, BPW has been committed to cosmopolitanism for years – and now as part of a concentrated campaign launched by German family-owned companies. Family-owned companies are one of the main pillars of the German economy – many of them are also hidden champions who are not as well known by the general public. The increase in xenophobic discrimination and assaults has led to more family-owned companies suspending their usual discretion and taking a public stand. BPW Bergische Achsen KG is one of them: with over 1,600 employees from 26 countries at its headquater in Wiehl alone, BPW is one of the international technology and innovation leaders in the commercial vehicle sector. In 2017, the company flew a huge, 16-metre-tall flag against xenophobia on the front of the main plant in Wiehl (NRW). 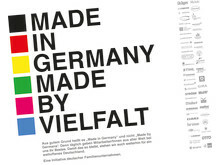 BPW is now involved in a joint advertising campaign with German family-owned companies, who are using posters, adverts and social media to call for cosmopolitanism and tolerance. Around 50 companies are involved in the campaign. BPW has already been pursuing successful initiatives for the protection of the environment and resources, secure and humane working conditions and good company management for generations. This is why BPW joined the United Nations Global Compact, the world’s largest and most important initiative for responsible business management, in 2016. 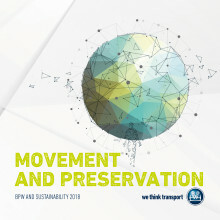 BPW presents its values, strategies and numerous initiatives relating to society and the environment in its sustainability report published annually.